Today’s digital organizations are generating more data and content than ever before and are faced with increased scrutiny and increased regulations for how they manage, govern and interact with their content. This is a challenge for all modern organizations running on a complicated array of new and legacy platforms and receiving content in every format imaginable. • How built-in encryption at rest and redaction capabilities ensure that private information remains private whether deployed on-premises, in the Cloud or in Hybrid/Cloud environments. • How event-based retention and hold functionality can broaden your governance reach and reduce unwanted risk and exposure of your enterprise content. 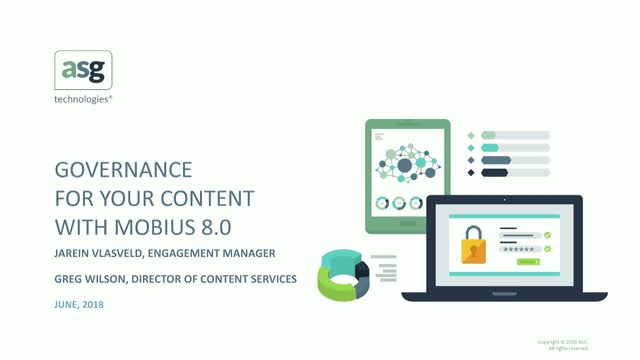 • How capabilities like full text search can empower your business to better leverage dormant content and respond faster to audit requests. Don’t miss your opportunity to find out more.